We had such a great response from our first giveaway a few weeks ago that we decided to do it again! For every 1000 new users on Lantern between now and May 31st, Lantern will give away an iPad mini!New and current Lantern users are eligible. To enter, simply sign in to Lantern on your Android or iPhone. That’s it! Simple and free. And you can enter up to once per day, so remember to check out the great deals from locally-owned places on Lantern each day through the end of May to be entered. 1) Get Lantern (iPhone | Android) + sign in. 2) Share with friends in KC. 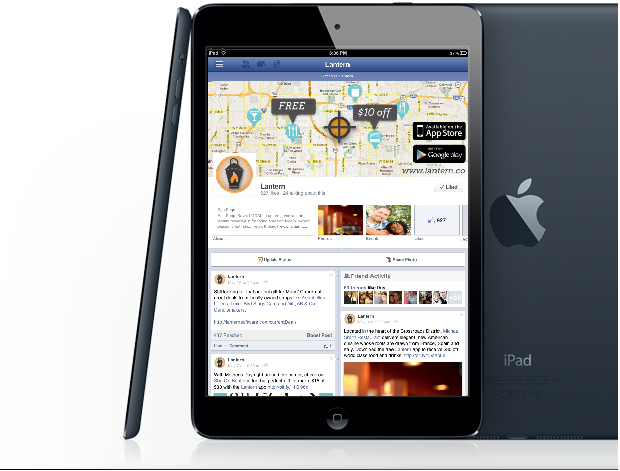 Each 1000 new users = 1 iPad mini Lantern gives away. what if you don’t have the android or an IPhone? I know, sol. I just downloaded the app and it is not giving me a way to sign up, just sign in??? ?